Gary Meyer March 11, 2019 at 4:11 pmWOOHOO! What fun it is to ride again! 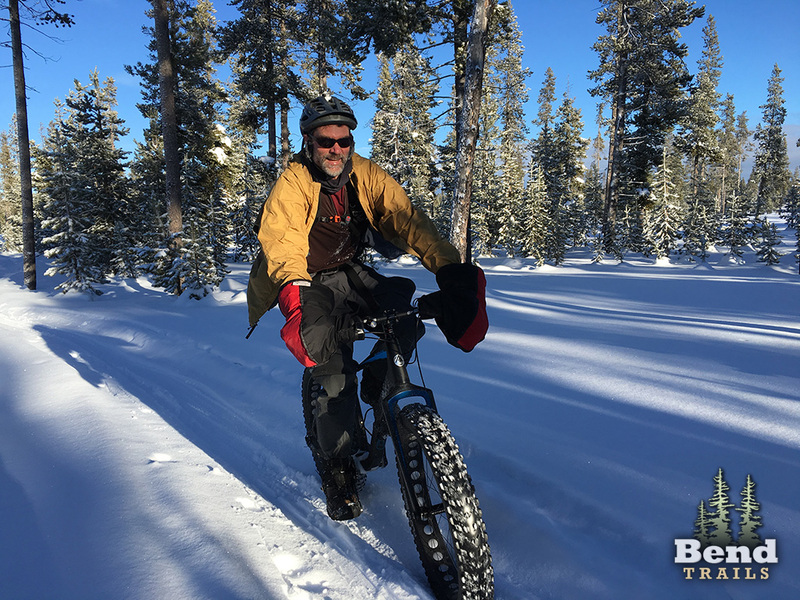 Gary Meyer January 21, 2019 at 6:58 pm1/21/19 Steve groomed both loops. I'll hit it again tomorrow. Miguel Montaña January 15, 2019 at 5:15 pmWas perfect this morning. Firmly packed tread. Light dust of powder on top. Gary Meyer March 9, 2018 at 6:46 pm3/9/2018 Freshly groomed. May be the last time we groom unless we get more snow. Both loops groomed and riding great. Dog Sled races this weekend 15th – 17th. The race starts in the Snowmobile parking lot. 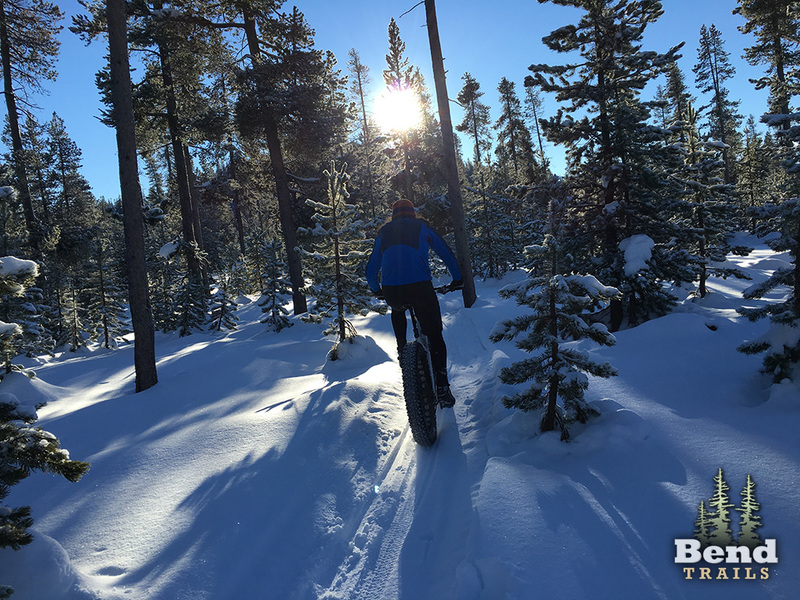 Look both ways when you cross the snowmobile roads while riding the fatbike loops. 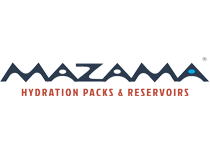 Grooming updates and trail status can be found here. 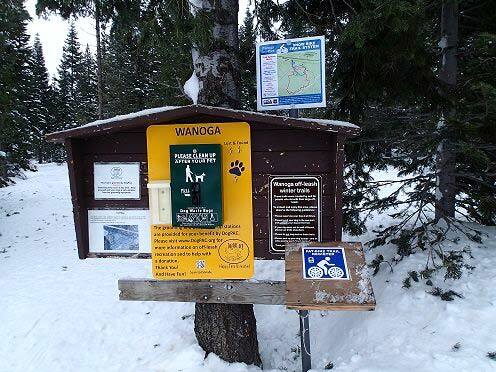 We share the ski and snowshoe trailhead on the north side of parking lot. 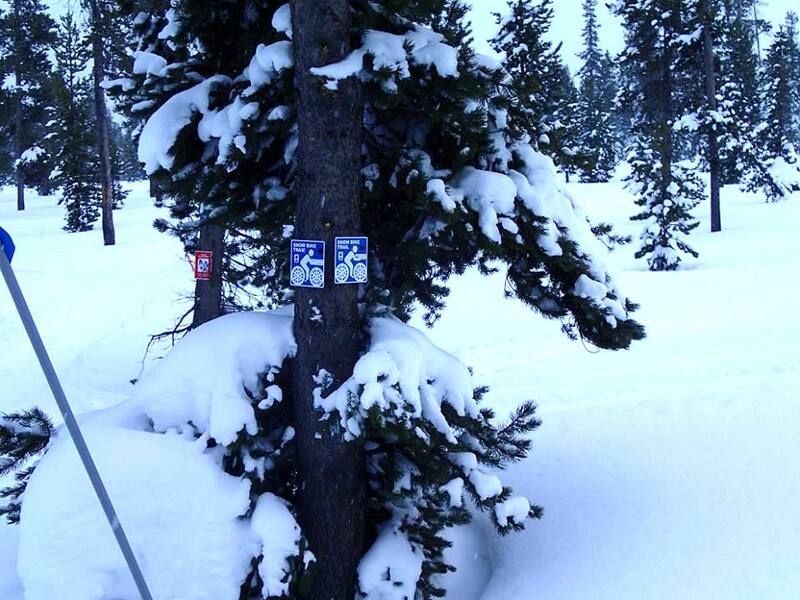 Take the snowshoe loop. PLEASE stay off the ski loops. Do not ride on or in the classic tracks. Wide tires 3.8″ or wider. Important: TIRE PRESSURE – based on current conditions use 4 PSI. Your sidewalls should wrinkle like a funny-car tire. If you’re leaving ruts its too soft to ride. 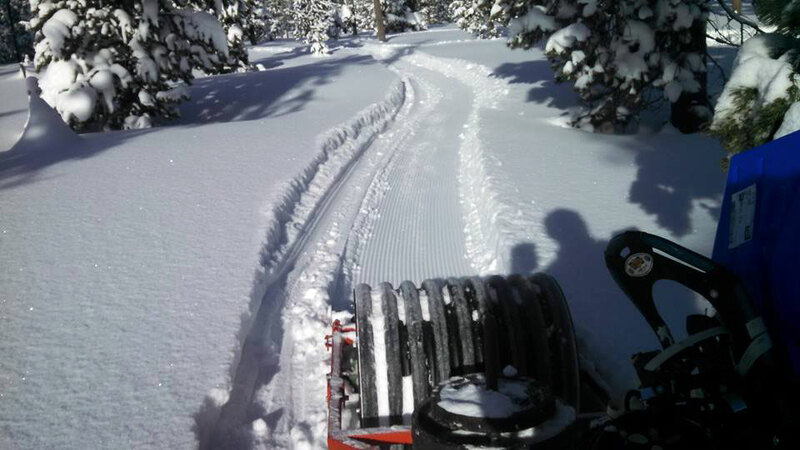 Meissner Nordic helped us get our trails please help ease trail conflicts and stay off the groomed Nordic trails. A Sno-Park Permit is required when parking in any Oregon State Sno-Park between November 1 and April 30. Pick one up at Pine Mountain or Sunnyside. Its is difficult for snowmobile riders to see you. You will hear them way before they see you pull over and let them pass. Stay to the far right of the trail and yield to snowmobiles. 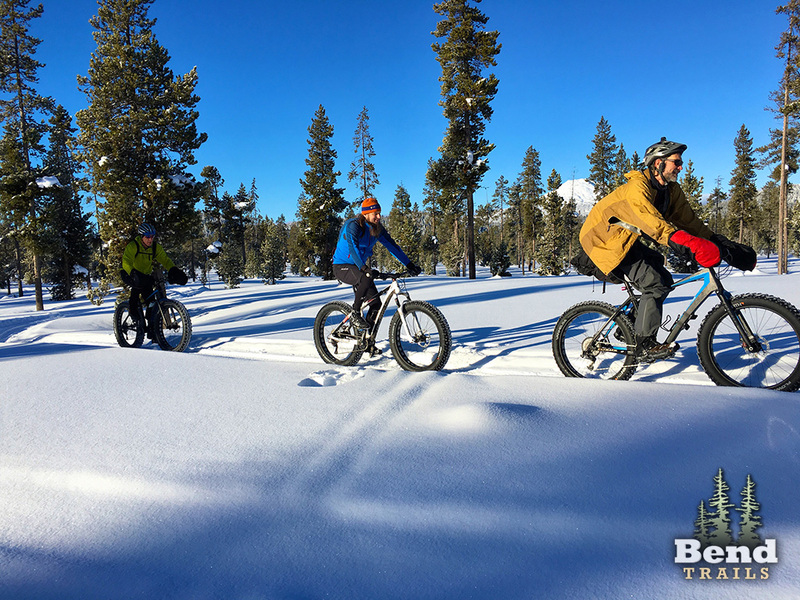 Winter conditions can change hourly… If you’ve ridden this route recently, you can add a report to the discussion area below — or use the status update pull down at the top of the page. WOOHOO! What fun it is to ride again! White out conditions at Wanoga. 3-PSI is gone until this storm passes. I’ll hit it again tomorrow. Was perfect this morning. Firmly packed tread. Light dust of powder on top. May be the last time we groom unless we get more snow. Trails were great in the morning! 3/7/2018 Outer loop and 3-PSI were ripping fast this morning. When the sun burns through it will get soft.